Finding the right dentist in Westminster Co for you and your family can be confusing. 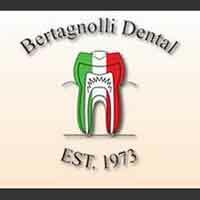 If you are looking for a dentist who provides personal attention and the latest in dental technology Bertagnolli Dental has what you need. Once you enter our office you will instantly feel comfortable and at ease. We are a family dental practice with a comprehensive list of restorative, general and cosmetic dental services. As a dentist in Westminster Co, we have the experience to effectively diagnose and treat any issue you may have.